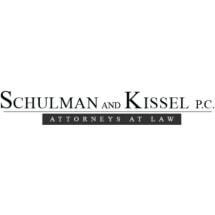 The law firm of Schulman & Kissel, P.C., in Suffern, New York, has been helping people file for bankruptcy* and deal with a wide range of personal, business and corporate legal matters for more than 30 years. We always have our clients' goals at the forefront of our minds, and we have a strong reputation with fellow attorneys, judges and clients throughout Rockland, Westchester, Orange and Bergen counties. A high proportion of our work comes through the personal recommendations of existing clients. Legal and financial problems can be overwhelming. At Schulman & Kissel, P.C., we understand this. We combine a highly personal approach with cost-effective and timely solutions to a wide range of legal issues, including bankruptcy, personal injury, condo and co-op law, landlord-tenant law, wills and estates, and real estate. Our approach is fundamental to the firm’s mission of building trust and long-term relationships with clients. Whether you have been injured in an accident, you are facing bankruptcy or you need advice on a property deal, our attorneys will meet you individually. We will take the time to educate you about the legal process. By reviewing each client's specific circumstances, we are able to bring all possible options to the table. For clients in financial difficulty, we have developed a free online bankruptcy and debt relief assessment for Chapters 7, 11 and 13 bankruptcy procedures at http://skkattorneys.com/. Many of our clients find this tool a useful way to prepare for their first consultation with our lawyers. Our offices are located at One Executive Boulevard, near the Crowne Plaza Hotel, just off the New York State Thruway (Route 87), and are open 9 a.m. to 5 p.m. weekdays. We will arrange evening and weekend appointments upon request. We accept all major credit cards and all attorneys are licensed in New York and New Jersey. The decision to file for bankruptcy can be difficult for our clients. We understand your questions, concerns and uncertainty during this very overwhelming time for you and your family. Purchasing and selling property can be exciting, confusing and even complicated. Let our more than 30 years of real estate transaction experience lead you through the process. We are a well respected leader in the representation of condominiums, cooperatives and home owner association boards. Pursuing a personal injury lawsuit can be complicated and the damages often difficult to measure, which is why you need an experienced personal injury attorney to carefully evaluate your claim. The rights of landlords and tenants in both residential and commercial lease agreements can be complex and overwhelming for the parties involved. We can guide you through the issue you face.